If you missed my last post, here's the link: What A Great Resource! Slave Deeds Index At The New Hanover County Register Of Deeds. Reading that post will help with understanding this one. As a parent, you spend so much time holding the hands of your children. I remember when my kids were babies I used to stare at their little hands and feet in amazement. Everything worked the same as mine, their parts were just smaller of course. 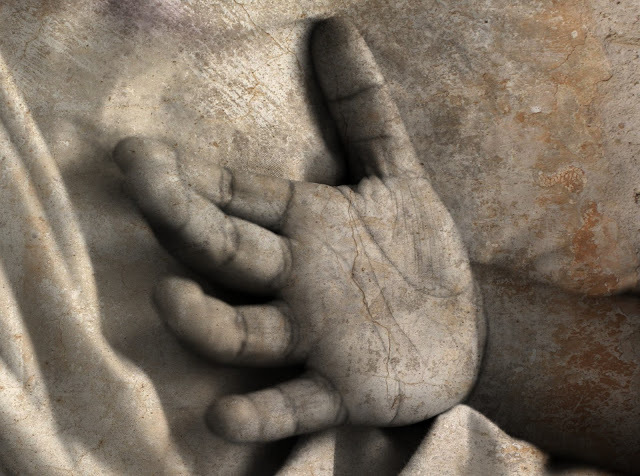 I saw this picture of a child's hand and it made me think of the anguishing moments before my 3rd great grandfather Jacob Kerr's mother had her son taken from her to be sold off. Perhaps the other child documented on this bill of sale was hers as well. If she knew what was coming, she'd pore over every last detail of their faces and bodies. She would remember them. The memory of them is all she would be left with. She'd absorb all she could in those last moments and then they'd be taken. Image courtesy of the New Hanover County Register of Deeds. I have no words. Only tears. Sadness and rage in equal measure. Good to have the information and so heartbreaking to actually read the record of what you knew.